Can Chatbots Help E-commerce Businesses Increase Sales? Change is inevitable in the e-commerce industry. The e-commerce industry has facilitated several domestic and international retailers and marketplaces. Whether it be the shopping of clothes or buying food, this industry has made that possible. This attraction of this online consumer and their increasing demand is making the competition between retailers tougher day by day. Consequentially many retailers are vying with each other. To be ahead in this competition many e-commerce store owners also seek for a USP. Fostering better shopping experience and streamlining a vast matrix of customer experience is imperative for setting apart of the e-commerce brand which leads to its success. This all is possible now because of the Chatbox. I will first introduce the chatbots before getting into the discussion about its tactics of profit enhancements. It is a software which is generally for interaction with users in a personalized manner. Besides this, it also answers queries and manages personal requests. The software does these jobs with the help of UI language and graphics. A study by Sprout Social shows that almost 89% of messages that require a response are ignored by brands, with an average wait of 10 hours for those that do get a reply – even though consumers expect a reply within four hours of their message. That is where Chatbots comes in. Chatbots detect the requirements of consumers and give a personalized feel to every conversation to provide the services related to a conversational assistant. Indeed, the AI-supported chatbots give a realistic feel of human conversation and interaction to its customers. This has been made possible because chatbots recognize the typing pattern of every customer and make a conversation accordingly. Chatbots act similar to salesmen of any brick and mortar shop. They store a buyer’s history, and whenever that particular buyer visits the store again, they suggest products with the caption “You may also like this”, based on the buying patterns of the customers. Chatbots also perform the function of a customer care executive and answer each customer’s query the best possible way which saves time for both customers and vendors. eBay’s ShopBot is an ideal example of a chatbot that gives impressive customer experience as a virtual shopping assistant which in return, drives great sales. Chatbots are available 24/7 and 356 days which means consumers can have a conversation with chatbots or ask anything anytime for as long as they want. They can give solutions to basic request for information about products and do not get overwhelmed if there are simultaneous inquiries from multiple consumers. 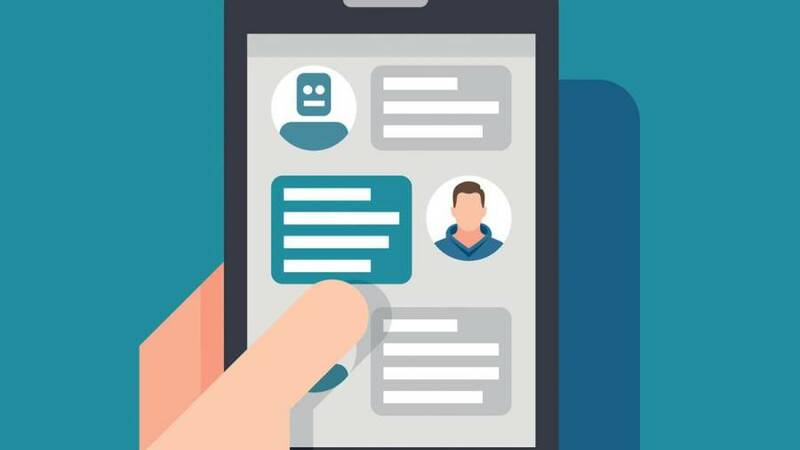 In addition to its interacting with customers, live chatbots can be programmed to keep track of the inventory of the store, enabling both the vendors and customers to be aware of a specific item that is of stock in the online store. Similarly, they can also be programmed to help customers know that the products they were searching have is available in stock. In a nutshell, chatbots provide a helping hand to business operations, saving a great amount of the time and effort in managing the online store. Chatbots have unequivocally brought forth a revolutionary change with the ways in which consumers do shopping or avail services. From making the daily work convenient with automation to offering stacks of audience data to analyze, chatbots are becoming more and more of a vital tool for e-commerce world.